“Most of them are shot dead, but when the bullets run out they turn to machetes and even axes,” he recounted. Solomon Yuhwam, a Catholic farmer of trees, who accompanied Fr Lamma during his short visit to Malta to share their experiences, bears the scar of such an attack on his right hand. He recounts that he only survived by a miracle, after throwing himself among the corpses of his fellow villagers who were not so lucky. 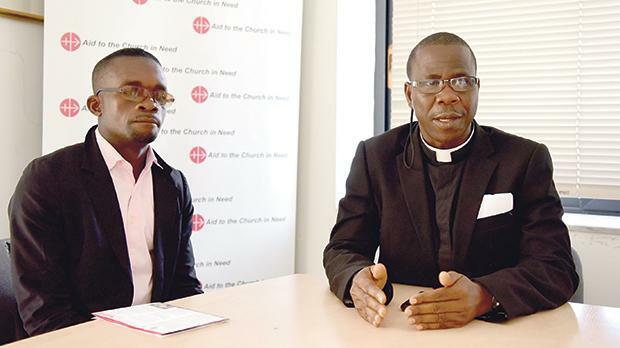 Fr Lamma accused the Nigerian authorities of turning a blind eye, including Nigerian President Muhammadu Buhari whom, he says, has never condemned these attacks. “People are sometimes arrested but they are released within days,” he says. Fr Lamma said his visit to Malta was part of his mission to raise global awareness about the ongoing persecution regardless of the consequences that he may face when he returns home. “I am a priest, have no children, no wife. This is my mission and I trust God will protect me,” he added.